This talk was given by Owen Hodkinson, expert in epistolary literature and the ancient novel and author of the forthcoming book Metafiction: The Origins of Self-Conscious Fiction in Classical Literature (Routledge 2015). 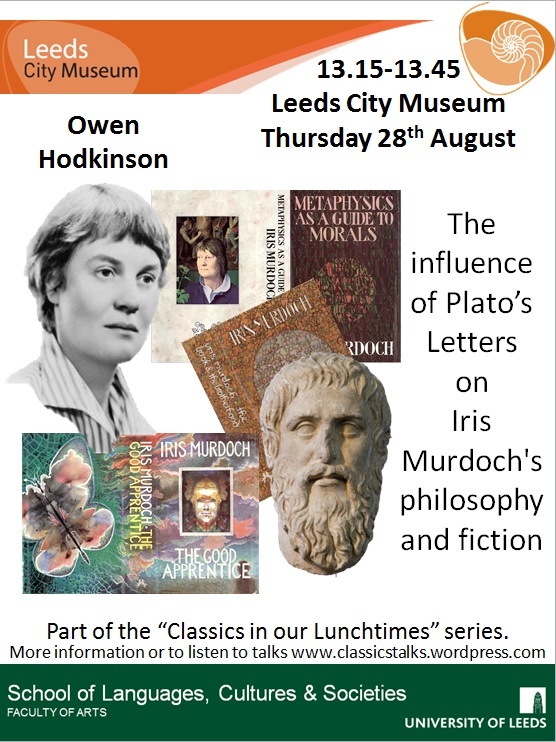 Owen explored the cross-over between Iris Murdoch’s philosophical and fictional writings with particular attention to the influence of Plato in her extensive presentation of the inadequacy of the written word to capture and communicate truth. Owen’s work in the Iris Murdoch archive yielded some fascinating insights into her working process when engaging with Platonic texts. The PowerPoint is not currently available to add.